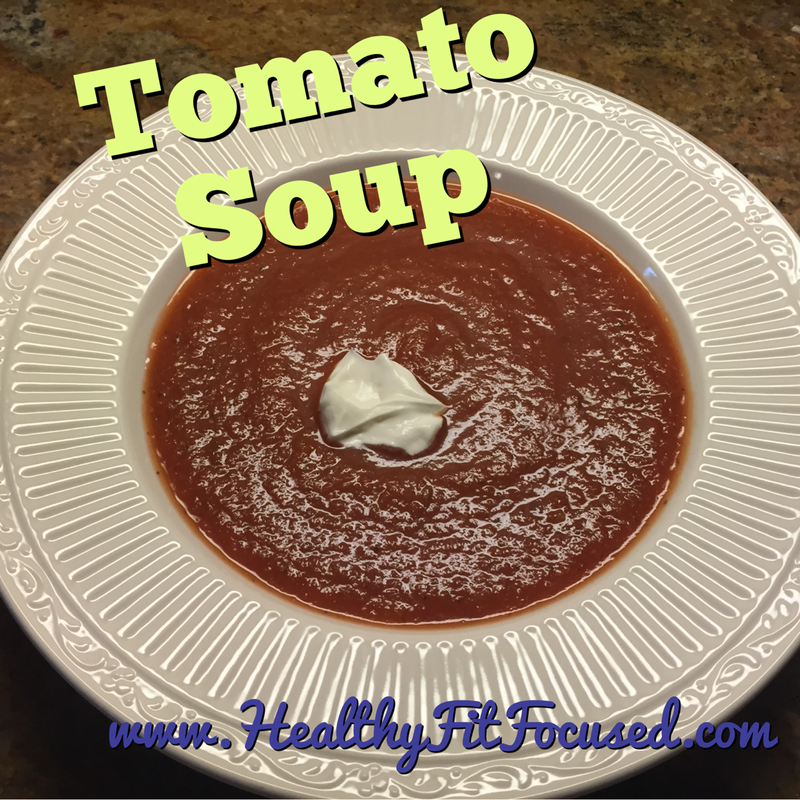 Healthy, Fit, and Focused: Easy and Healthy Tomato Soup - Healthy Comfort Food! Easy and Healthy Tomato Soup - Healthy Comfort Food! So I haven't tried this recipe yet, but my mom sent this to me and said it is her new favorite! So I thought I'd post it up here and see what ya'll think! I'd love to hear your feedback...I hope to try it this week! Tell me how you like it! 1. Cook chopped onion and chopped celery with the chicken broth until onions and celery are softened. 2. Add tomatoes, seasonings, apple cider vinegar, and hot sauce. 3. Bring to a boil and then simmer 5-10 minutes. 6. Taste and adjust seasonings if desired. This soup is also good served chunky…not blended. You can add chopped carrots, peppers, etc.